Christine Klocek-Lim spends most of her time daydreaming—which isn’t much different from what she did as a girl in northeast Pennsylvania, as a college student in Pittsburgh, as a twenty-something technical writer in New York City, and as a young mother in suburban New Jersey. For the past decade or so she’s been dream-surfing in the Lehigh Valley of Pennsylvania. She’s published a pile of romance novels, a few poetry chapbooks, and a bunch of short stories. 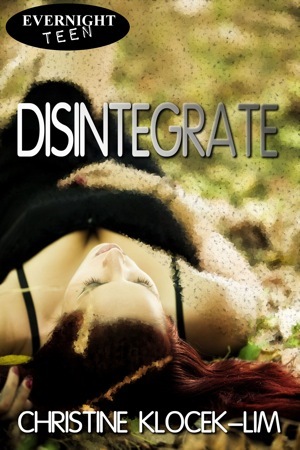 Posted in Cover Reveal and tagged Christine Klocek-Lim, cover reveal, Disintegrate, Evernight Teen. Bookmark the permalink.